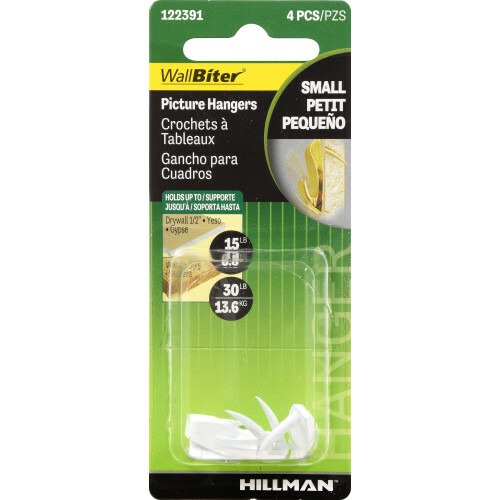 Hillman Wall Biters provide a strong durable hold when hanging your pictures, Available in small (30lbs), medium (45lbs), and large (60lbs) sizes to ensure weight ratings meet your hanging needs. 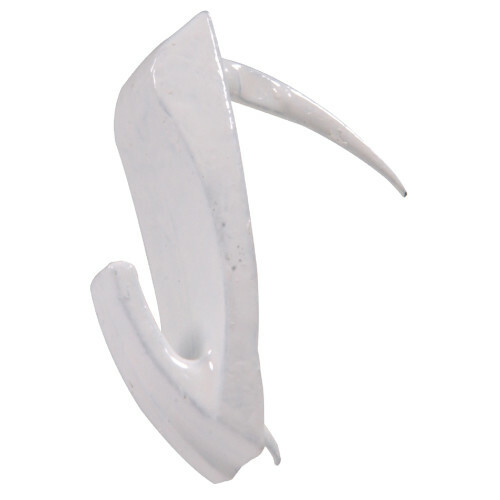 Also available in white, brass finishes. 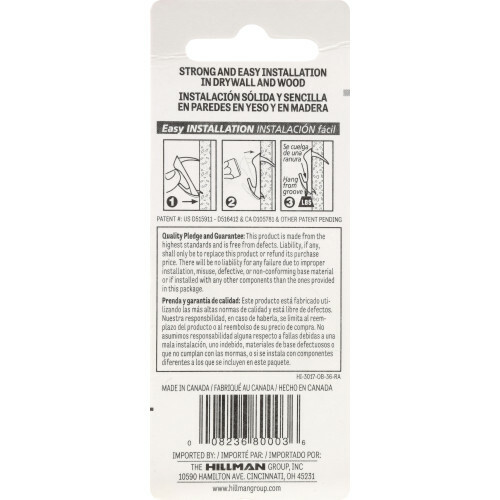 Please read back of package when hanging in drywall vs. wood, weight rating will change.